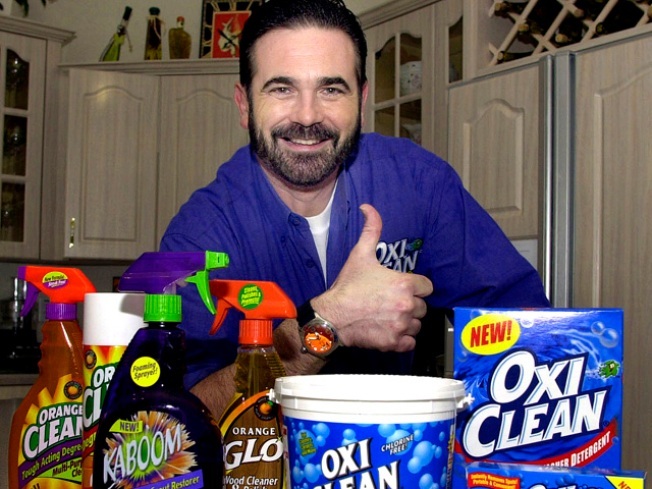 TV pitchman Billy Mays, known for his boisterous hawking of products such as Orange Glo and OxiClean, died unexpectedly over the weekend. When it came to shouting you into buying something, no one did it like Billy Mays, but who better to replace him than some loud, obnoxious Miamians? With the world in need of a pitchman and the ShamWow guy still healing his bruised tongue, a group of TV professionals have turned to the Magic City to find the next big thing. An inventors and pitchman competition is being held at the Eden Roc Renaissance Hotel on Miami Beach today and Tuesday and organizers are asking competitors to put their best -- and loudest -- voice forward. The group, known as The Search Party, needs someone to step in for Mays, the master of the "shout and sell" method who died this summer at his home in Tampa at the height of his popularity. The winner of the contest will have the chance to follow in the footsteps of the man who brought us Mighty Putty and other household inventions we really didn’t need. If you act now, you will also be awarded $100,000 at no extra charge. The next useless invention could also emerge from the competition as an aspiring inventor will receive the cash prize as well. BUT ACT NOW! TIME IS RUNNING OUT!